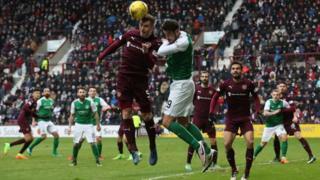 Footballers may have to sign disclaimers to prevent them suing over dementia and other brain injuries, a former head of the SFA has predicted. Gordon Smith also repeated his calls for children under the age of 12 to be banned from heading footballs. It emerged at the weekend that former Celtic captain Billy McNeill has dementia and is unable to speak. His family have called for more research into possible links between heading and dementia. Mr Smith, who was chief executive of the Scottish Football Association between 2007 and 2010, played for Manchester City when Mr McNeill was the manager in the 1980s. He told the BBC's Good Morning Scotland programme that Mr McNeill had told him how, during his own playing career, he would regularly have someone kick 50 balls at him after training and attempt to head them as far up the park as he could. Mr Smith said: "It came home to me once I found out the problem he had - I thought there must be some sort of correlation between what he did then and the types of ball that you had in those days, which were a lot heavier, more solid." Mr Smith said he did not want heading to be banned from the adult game, but added: "I think there might be a scenario where eventually players would have to sign some sort of form that says they are not going to take action at a later date. "A disclaimer form (saying) that if you are playing football then heading is part of the game, you accept that and you get on with it. "I think that might be the way ahead because we don't want to see the game change - heading is a tremendous part of the game and I don't want it taken out of football." Research published by Stirling University last year found "small but significant changes in brain function" after players headed the ball 20 times. The study found that memory performance was reduced by between 41% and 67% in the 24 hours after routine heading practice. Mr Smith said he wanted to see the potential link between brain injuries, dementia and football examined in greater detail. Media captionHow does heading a football affect brain performance? He pointed out that footballs are now much lighter than they were in 1950s and 60s, and that children under the age of 12 play seven-a-side games in which there is hardly any heading. But he called for Scotland to follow the American model by imposing a total ban on heading by any child under the age of 12. At the weekend, Mr McNeill's wife, Liz, told the Sunday Mail and the Scottish Sun on Sunday about her husband's battle with the degenerative brain disease since being diagnosed seen years ago. She decided to make his illness public ahead of the 50th anniversary of Mr McNeill becoming the first British captain to lift the European Cup when Celtic defeated Italian club Internazionale in Lisbon in May 1967. Mrs McNeill said: "I think it's the right time for us to talk about this now. Heading the ball and the possibilities of concussive effects on the brain needs more discussion. "We don't know if Billy's dementia is linked to his football. More research needs to be done." 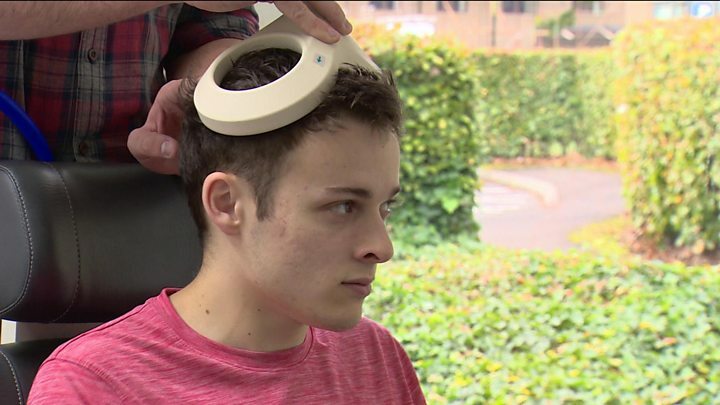 Luke Griggs, of brain injury charity Headway, claimed the football authorities in the UK had been "dragging their heels" over the issue for years. He added: "When it comes to heading footballs the reality is that we don't have enough evidence yet to draw a meaningful conclusion, and that is something that should have been rectified a long time ago. "Urgent action needs to be taken now not only to give answers to families of footballers who were playing in the old era of heavy footballs, but also to give reassurance to families of children who are playing today that their kids are safe playing this sport." Last year, the Football Association in England said it would lead a study into possible links between football and brain diseases. It followed a campaign by the family of former England, West Brom and Notts County striker Jeff Astle, who died from brain trauma in 2002. A coroner described his illness as an "industrial disease", in reference to him heading leather balls during his career. An estimated 93,000 people have dementia in Scotland - about 3,200 of whom are under the age of 65.